← Old Man Winter Roars! It was really quite cold walking the tide line yesterday, but it was also almost magical. 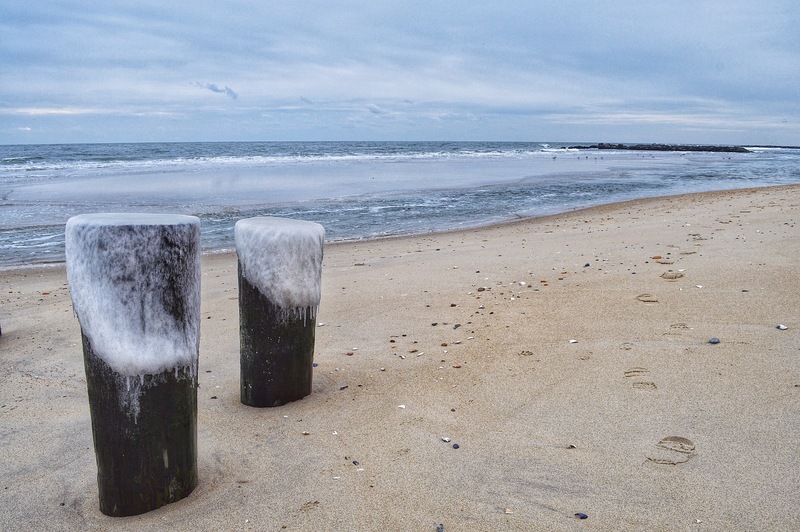 The ocean spray had frozen over the rock jetties and the pilings, and the high tide’s standing water had frozen solid over the sand. Today it is colder – 12 Fahrenheit, snowing, with 25 mph wind making the wind chill temperature -9. … But the wind is from the west and the storm is clearing out. That combination might be making for a fierce, furious, and magnificent ocean this morning. It would be dangerous to spend any time walking the tide line, but I hope I can manage to at least see the beach in its furious glory! The second photo is cool photo. Thanks so very much! I am glad that you liked it. Enjoy your Day! 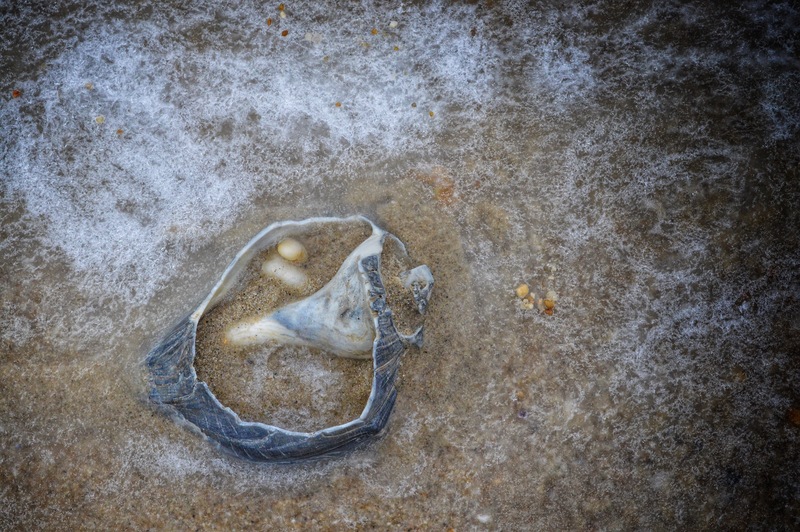 It seems like a weird concept, the ocean freezing, or having ice on the shoreline. Wonderful to see, nice to see some cool spots, it has been so hot here. Let’t just say that you should be pleased that you are coming to this part of the world in a warmer season, Leanne. Today? About -9F windchill by the ocean. Winds were gusting at 40 mph. We lasted 3 minutes. I think it would be nice to experience it, but I think you are right, probably best I am coming when it will be warmer. I have no concept of it being really cold, though I did experience a winter in Denmark.